Looking To Sell? The Top 5 Reasons Why It May Not! While some people feel they can do it on their own, many choose to use a real estate agent. Why? Well, there’s many reasons… but, the biggest reason is that Realtors have access to much more exposure for your home than just putting a for sale sign out and putting an ad on Craigslist. While you may get lucky to find a buyer that way, the best way to get the most value out of your home is to find the perfect buyer that falls in love and will, therefore, pay top dollar. The five biggest reasons why most homes don’t sell are listed below. We will be looking at these five from the point of view of the buyer because ultimately, their impression matters… and matters big time! When you hear this phrase you usually think of a new business opening and they have to find the best location for their restaurant, car lot or nail salon. In residential real estate this refers to a few key points. The first being proximity to where you work, play and worship. The second is the neighborhood being on the upswing or downward spiral depending on the curb appeal of all homes on your street and recent foreclosure sales in the area. 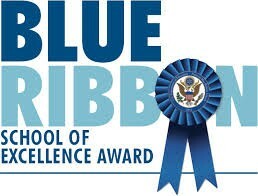 The third is the school zone which can cut out a lot of your buyers instantly. The better the schools in your area, the better value you will keep in your home. While not all people have school aged kids, this still matters to a lot of people for future resale value. The thing about pricing which makes for a longer time on the market is to overprice it. This is how the usual seller thinking goes… “We’ll price it high at the beginning and if it doesn’t sell within a few months, we’ll drop it at that time. We don’t want to miss out on any extra equity in case there is someone that wants it right away.” This is generally how sellers approach pricing their home. The problem with this is that the buyers out there are very informed these days with all of the online content available. Between the public info available and the real estate agent they are working with, you are out leveraged for this type of selling strategy. What happens is that the home sits on the market for 2-3 months and then gets a price reduction. The buyers in the market see a price reduction and immediately believe that there is something wrong with your home… and sometimes will cross it off their list to view simply because of this reason. Again, put yourself in their shoes. They have a lot of homes to view and the earlier they can cross some off the list, the better. The best way to price your home is to see what homes like yours have recently sold (last 6 months) for in your area. Then price it comparatively and stay firm. This will result in a better negotiated offer and less time on the market. The longer on the market, the more open you are to a lowball offer. Unfortunately, most sellers are emotionally attached to their home and the buyers that view your home are not. Buyers just want the best deal that fits their criteria in a new home. One quick way to get buyers to see themselves in your home is to declutter and remove most personal items from your home. 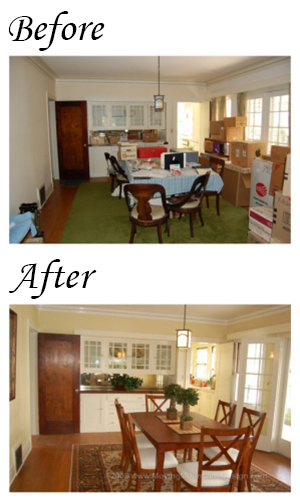 It helps buyers to see past your stuff and see themselves living there. The more the buyer can get emotionally invested in your home, the more they will fall in love and offer you more. This is Sales 101 for any business… get the buyer emotionally attached to the product or service and they will buy more often than most and pay more for it. So, if you want to get more for your home, stage it so that any buyer can walk in and immediately see themselves living there and not seeing personal photos, old furniture, clutter and any items that makes a space feel small. While the inside visual impression is important, many buyers today are looking for “Move-In Ready”… not a “Fixer-Upper”. Yes, a lot of buyers are watching HGTV… but not for the fix-up shows. They are watching to see trends in what to buy, what not to buy, and what will bring them the best value in their upcoming home purchase. 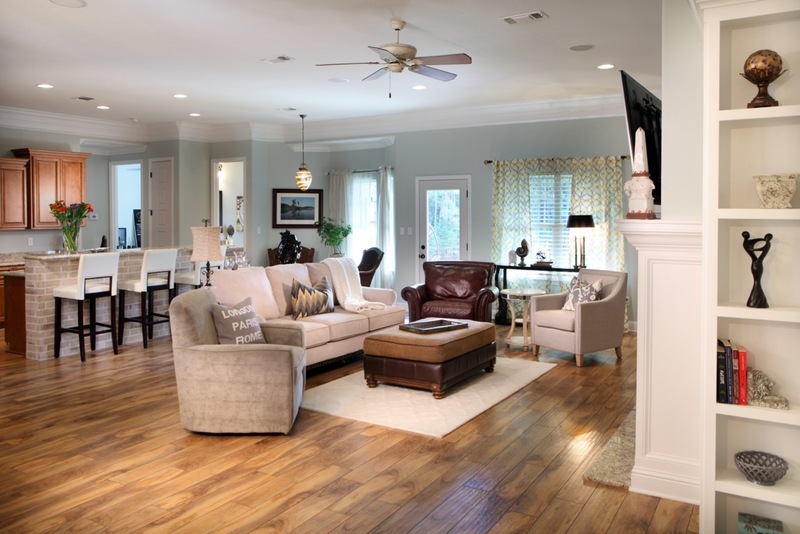 One of the biggest things on buyer’s minds these days is energy efficiency. With utility costs on the rise, make sure your home is as energy efficient as possible, while recouping the cost of any improvements you make. Functionality pertains to the way the home feels and flows as a buyer walks through. It also pertains to the room mix. A bad room mix would be a 4 bedroom / 1 bath home. This setup can be another instant “cross off” their list just from seeing the MLS listing information. Generally in South Mississippi, if a bedroom doesn’t have a closet… it’s not considered a bedroom and the appraiser won’t give you its value. Another functionality problem that commonly exist in older ranch styled homes is that they are more closed off and feel boxy. These homes usually have 8 foot ceilings too, which makes the layout less open and less desirable. Most buyers these days are looking for open plans with split bedrooms which means that the master bedroom is on the opposite side of the house as the other bedrooms. If you have a functionality problem with your house, sometimes your biggest competition is a new construction home. Builders know exactly what buyers today want and they are building their business future around it. Smart home features and energy efficiency are at the top of the list… not to mention everything is new and carries a new home warranty. Click on the great room pic above from Elliott Homes to see the open plan layout of the Allen Plan. Yep! Even though exposure is listed at #5, it’s a big reason why a house doesn’t sell. The reason is that no one knows it’s for sale. Yes, you have a “for sale” sign in the yard (FSBO or Realtor), but that’s not enough. Putting it on Craigslist and taking out an ad in the local real estate magazine or paper isn’t enough these days either. This is where having a great listing agent pays off. Once your agent has all of the “correct” information about your property, they should be using a syndication hub to provide the widest cast of exposure your house can get. This is a service that only a great real estate agent can provide. 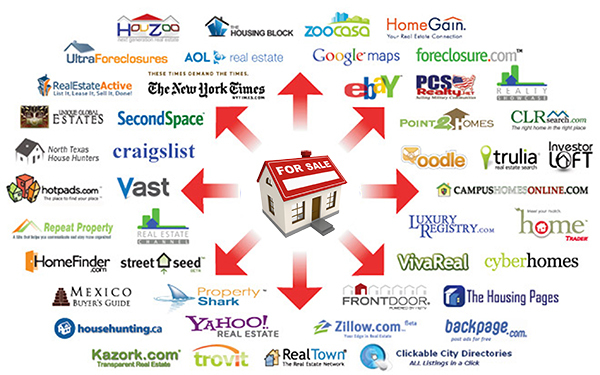 Our brokerage, NextHome E-Realty has over 100 participating publishers reaching homebuyers on more than 900 websites. 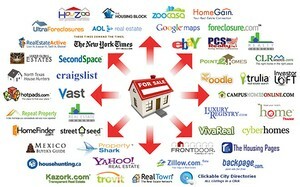 You should receive a listing report on how your house is performing on these sites every two weeks as well. 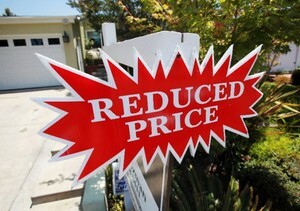 This way you can see sooner than later to make changes to your price or how your home is listed. One website that continues to be the #1 local real estate search solution is this one… GulfCoastPowerSearch.com. Click on the image to get a better view of some of our partners. Before you do any improvements to your home, visit all of the homes in your area to see what your competition really is… not what you’ve heard. Be the buyer… step into their shoes! After all, if you sell your home you will be a buyer. While making improvements is great, only make the improvements that you can see a return on. Also, only make the improvements that will put you ahead of your market competition and not any more. When we see people over improve their home, its usually when they didn’t ask an experienced agent about what they were going to do. They just did the improvements and assumed that their listing agent would be able to sell their home for more. As you can see above, there are 5 main reasons why your home will sell or not sell. While some of the reasons listed can’t be avoided, like location, you CAN change some of the others. Before you make any of these changes, call us to get a CMA (Comparative Market Analysis) to get started. We can help you with all of these 5 areas and give you the most optimal chance at selling your house in the least amount of time and at the best price possible! Thinking of Building a Home? Know Your Options! The Top 5 Reasons For Buyer Representation When Buying A Home!